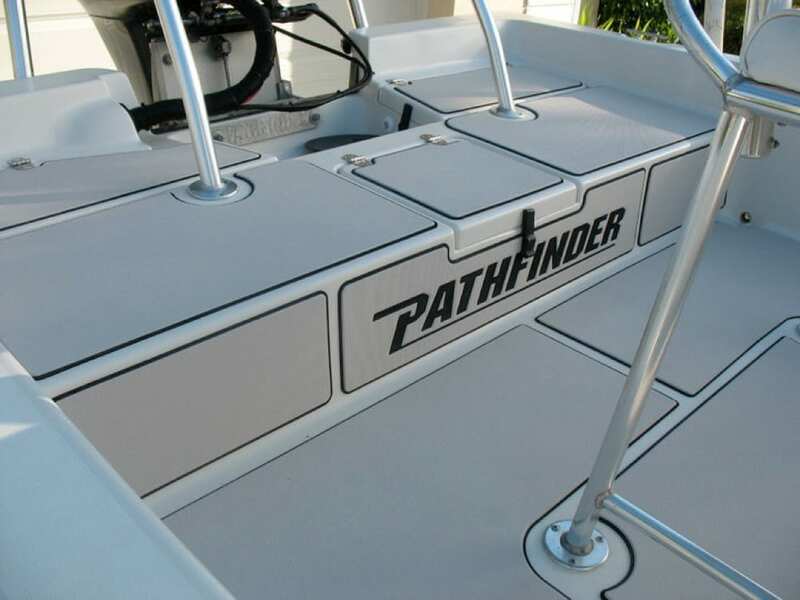 The 22 Pathfinder bay boat has been a staple for a long time in the bay boat market. 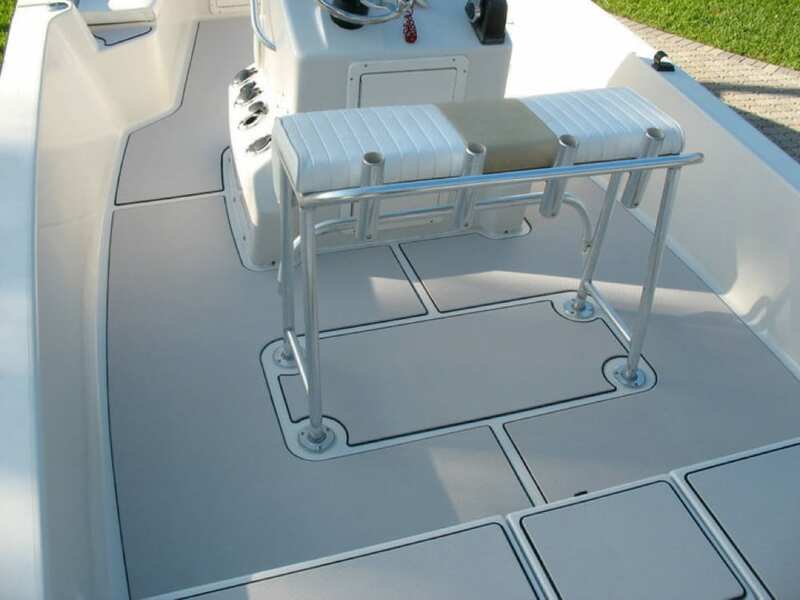 Looking at the older model boats, you can see they have made some nice upgrades to the deck areas on the newer boats. 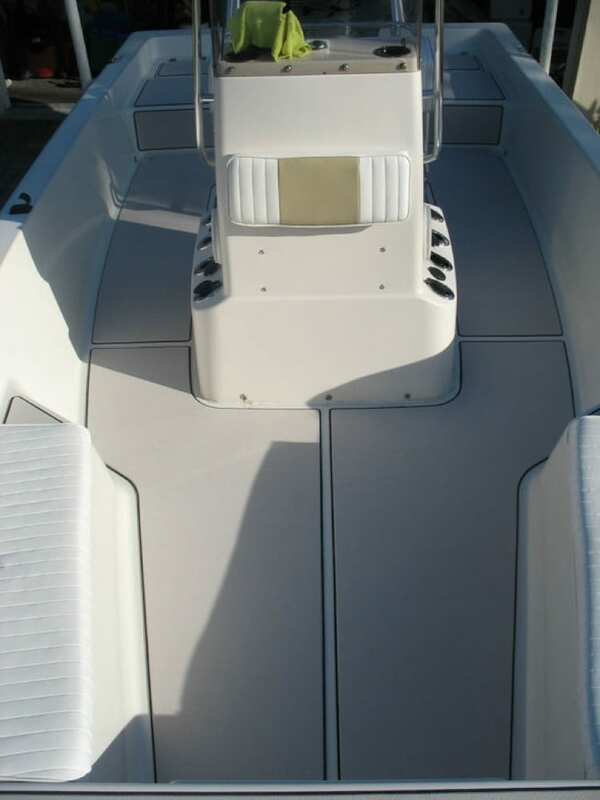 This customer wanted to dress up his older boat by decking it out in SeaDek. He decided to add a few logos on the front deck as well as on the back bulkhead to give it that custom touch. Most of the boats produced by Maverick Boat Company all have an “oyster white” gel coat so our mica colored SeaDek is a nice color to match. A popular option of many customers is a pad under the leaning post to help prevent the cooler from moving around. 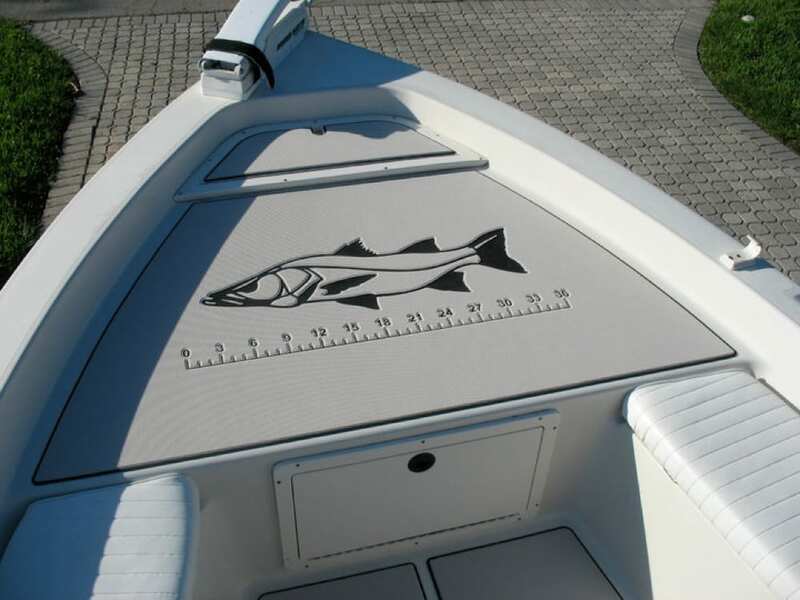 If you are interested in having some custom SeaDek made for your bay boat or skiff feel free to contact me at info@castawaycustom.com.